After a long period of serious recession there has been an improvement in economic indicators in recent months, notably in the key construction sector. The current improvement provides grounds for optimism about the future and Hambleside Danelaw’s recent performance reflects a positive outlook which returns it to the position it was in prior to the financial crash of 2008. 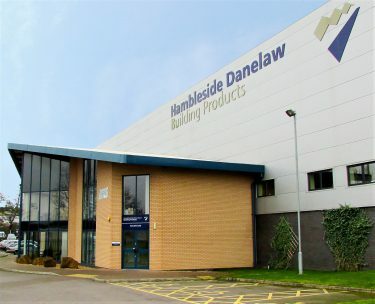 Based on current trading conditions, Hambleside Danelaw is announcing a major new investment in the long term future of UK manufacturing capacity in the Rooflights and Cladding sector by commissioning a new GRP production line, similar to its existing plant at Inverness. The new production line will be installed at the Company’s Daventry factory, which will be extended to accommodate it with the support of Daventry District Council. 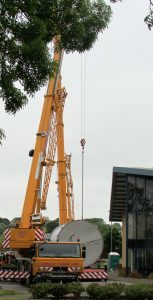 By locating the rooflight element of GRP production to Daventry, close to its core markets, it will allow Hambleside Danelaw to reduce lead times, improve logistics and thereby further improving customer service.